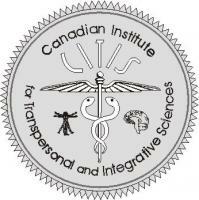 ABOUT CITIS: Founded by Harold Finkleman, The Canadian Institute for Transpersonal and Integrative Sciences is an organization devoted to sharing and promoting emerging counselling approaches, health sciences and alternative technologies that emphasize organic resources, nature’s strategies and self-empowerment. These include both ancient and contemporary sciences–personal, transpersonal, medical, spiritual, eco-logical, techno-logical, environmental practices and more. Inspired by the work of Australian neurologist and forensic psychologist Dr. R. H. Brian Costello and Canadian integrative medicine pioneer Dr. Max Vogel, the Institute promotes international academic exchanges in the form of individual, peer, group and community meetings and collaborations, and where possible: conferences. The intent is both to attract international leading-edge healing and scientific resources, training and services to Canada and to share Canadian talents and resources with the international community. CITIS operates and houses two academically significant libraries in Calgary and in Banff, Canada, in the heart of the Rocky Mountains and at the core of Canada’s first and most celebrated nature preserve–Banff National Park. The Institute provides associates with the libraries, research resources and regional and international collaborative opportunities. It will seek to provide visiting scholars with access to peers, offices, consulting space where appropriate and research resources where available. It would provide local and regional organizations with access and collaborative opportunities with these scholars. The Institute promotes local institutional and community access to workshops and lectures that take place through the Institute. Although most of the Institute’s education and training programs are provided for lay and professionals alike, many are fully accredited programs– offering Continuing Education Units for professionals. CITIS offers Level 1 Embodied Awareness Certification in an OnLine format. Training contains 10 on-line courses. Each course consists of three Sections and each Section has a multiple-choice quiz at the end of the lesson. Each quiz is designed to confirm your overall review of the material. You may take the course for credit or noncredit. To gain full credit an exam a score of 75% is required to pass Level 1 Certification and progress to Level 2 Embodied Awareness Certified Facilitator Training. Level 1 is a prerequisite to level 2 training. CITIS Level 2 Embodied Awareness Facilitator Certification is by invitation only and includes face-to-face experiential training and supervised practicum.